As we manufacture all our worktops on site in our factory, we can add any edge detail to any suitable stone. 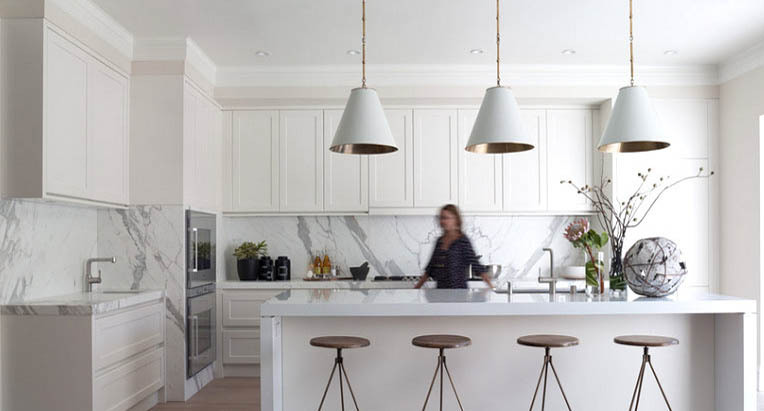 You maybe wondering whether it’s worth thinking about edgings – particularly if you’re feeling a touch of decision fatigue after choosing granite worktops, cabinets, appliances and every other detail for your Aldershot kitchen remodel. However, the finishing touches can add to – or detract from – the overall look you’re trying to create. Imagine an impeccably tailored suit with gaudy, mismatched buttons or a bride who hasn’t brushed her hair – the details matter. The default style for most stone – including marble and granite – kitchen worktops is a squared-off edge with sharp corners. For many kitchen brokers, this is the only option they have available. However, at Surrey Marble and Granite we’re able to create more sophisticated options. We have 8 standard styles to choose from, and can discuss bespoke work as well. Two of our more elaborate styles, the Ogee and Cavetto styles are popular in country house or farmhouse style kitchens. The extra detailing complements more elaborate details in other parts of the kitchen or bathroom. The Full Bullnose worktop edge is a semicircle edging, while the Half Bullnose has a rounded upper and flat underneath. These options are popular in family kitchens for the practical reason that they reduce the number of sharp edges around and the relaxed aesthetic that they complement. It’s also a great choice for a sleek, streamlined kitchen. The Square Polish Champfer is a popular choice for modern granite worktops. Its roots date back to antiquity – you can see champfer edges on, among others, the Taj Mahal – and its timeless style looks great with the modern trends for natural materials and careful detailing. Similar to the Square Polish Chamfer, the Pencil Round edging is a great choice for marble or granite worktops. It has a more gentle slope than the Champfer, creating a more rounded appearance and giving the worktop a more relaxed air. This design is popular in kitchen remodels where elements of old and new are blended, as well as in period properties. Our most elaborate edging, the Birds Beak worktop finish involves cutting a second, matching strip of stone to create a doubled edge. This is not suitable for all cabinet shells, so be sure to discuss your choice of cabinet with us before ordering the Birds Beak. If you can’t quite picture the difference between a square polish chamfer and a pencil round, come and visit our showroom. We’re open Monday to Friday from 7:30am and Saturdays by appointment only. If you’re driving down from Aldershot or beyond, and want to be sure we’ll have the samples you want to view ready, simply give us a call and make an appointment.